It was a brisk sunny California day. 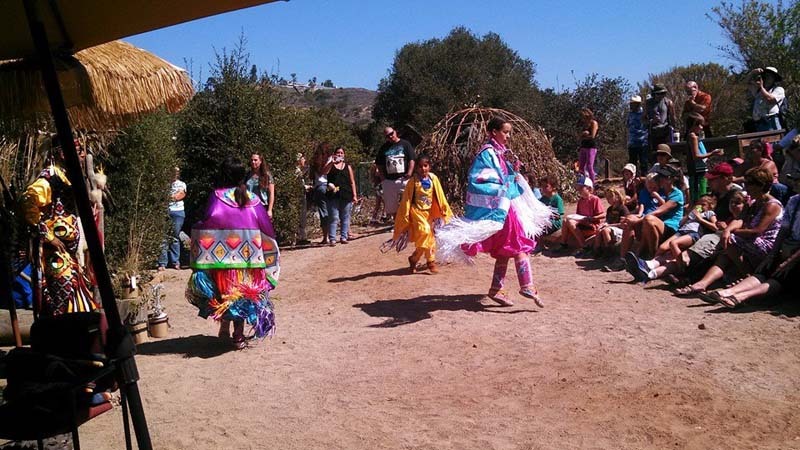 October 11, 1014 from 10am to 4pm at San Diego City Park in Tecolote Nature Center, celebrated the traditions of the original Californians: the Kumeyaay Native American people. Of note was the respectful appreciation for our favorite elder, Jane Dumas. Although she is no longer with us she was recognized for her past contributions. She had been associated with Tecolote Nature Center for the past 40 years. 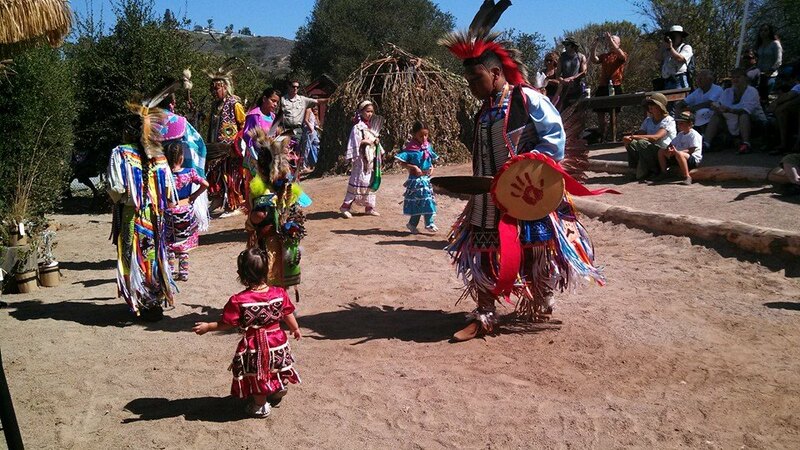 The Baskets and Botany event offers tribal songs, basket weaving, informative displays, pottery, and sand painting. You can go on a bird walk, eat Indian fry bread, or learn to make a Native American craft project in the craft room with Indian Soaring Eagles friends: Vickie Gambala, Mara Peters, Dina Brandon, Lizzete Flores and young friends. 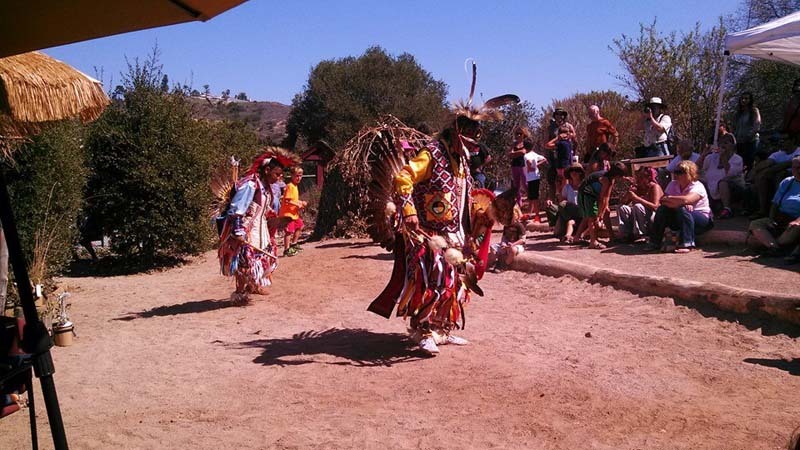 Additionally: Stan and Martha Rodriguez provided Kumeyaay baskets, jewelry, games and tools. Also, in an outdoor specialty area, Sylvia Mejia did the clay art and pottery activity. At noon in the activity area Juan Meza Cuero was again invited by Park Ranger, Marla Gilmore to sing Wildcat songs. We were able to present five adult singers for the noon presentation: Song leader-Juan Meza Cuero, Stan Rodriguez and his son, Ben Nance, Henry Mendibles and Roy Cook. For the first time the Soaring Eagle dancers presented the dance styles and songs of the pow wow tradition. The one o clock presentation was also held in the activity area and featured the Native American children in colorful traditional outfits. Songs were sung by Ben Nance and Roy Cook for the children. Led by dance instructor Chuck Cadotte there were many Kodak moments for all to treasure and enjoy. Some of the younger dancers were eager to participate. Maybe we will see you at the next Tribal culture event. Mehan.